How is Event Espresso More than a WordPress Calendar? If your organization has events, and your website is powered by WordPress, you’ve probably been looking for a WordPress calendar plugin to list your events. You need to make it easy for your customers to find your upcoming events, and that’s what a WordPress calendar does. 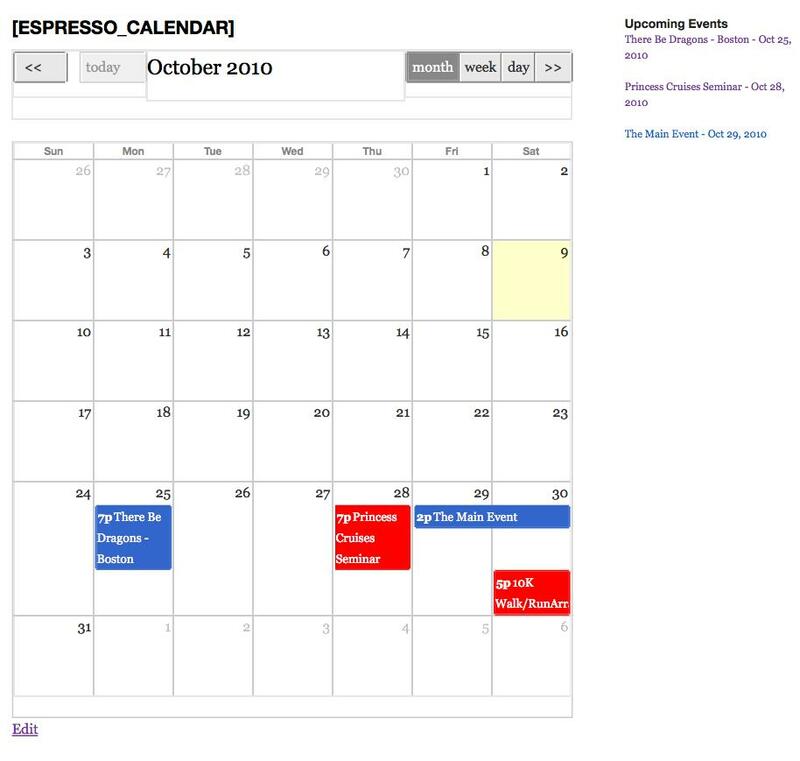 The Event Espresso WordPress calendar plugin includes month, week, and day views and you can customize the WordPress calendar to fit your site’s style by editing the CSS style sheet. You can display events that span several days, recurring events, and you can color code your category of events so a customer can easily read your calendar and know which events they are most interested. The power of a WordPress calendar really kicks in when customers can also buy a ticket for your upcoming events – that’s where Event Espresso comes in handy. With Event Espresso, you can list all your events on your WordPress calendar and facilitate your customers to register for your events, right from your WordPress website. Collect and store the information of your registrants, collect payments, send confirmation emails, and even create spill-over events if your one event gets full. You can create seating limits, custom registration pages to ask the questions you need and so much more. When you are looking for a WordPress calendar, we hope that you’ll recognize that your calendar can be more than a calendar page of events. Your WordPress Calendar, when integrated with Event Espresso, can facilitate your event registration (let people buy tickets to your events), and you can be more profitable. Or do you know of a plugin that works with event espresso that achieves this same result?